At the end of 2017, Renate Pilz is leaving her active role in the Pilz Management Board. 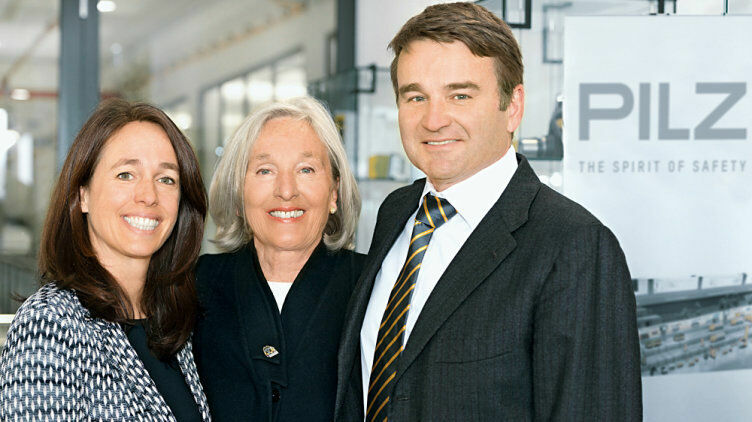 She hands over the management of the company to her two children, Susanne Kunschert and Thomas Pilz, with whom she has been leading the company for 10 years. As such, Pilz remains a family business. Renate Pilz has had a decisive influence on the company, promoting many product innovations and the internationalisation of the company. For her it was a passion to continue the company after the early death of her husband, the then Managing Director Peter Pilz, and to continue in the spirit he intended. The vision to make machines safe worldwide originated from him. From the start, Pilz has set standards. Our products and solutions have become established as a brand in safe automation technology. Under the management of Renate Pilz, the company expanded worldwide. 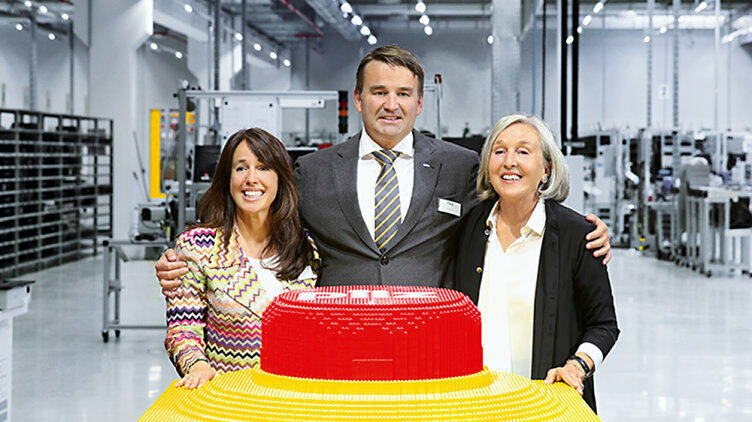 The Swabian family business with 200 employees has become a company with over 2,000 employees worldwide. Renate Pilz developed the company with a great deal of dedication and passion. An example of this is the development of the first programmable safety system: an innovative and courageous path, where Pilz made industrial history. Together with her team she initiated important standards and directives, to achieve a globally uniform view of the subject of plant safety. Commitment and values are deeply engrained in Pilz's business culture because: Values create future. Take your time to find out more about the value-based business management and the remarkable history of Pilz! What are the products and solutions that Pilz can offer for complete automation? How important is the issue of research and development for us? Learn more about what distinguishes Pilz! What would you like, Renate Pilz? In 1948, Hermann Pilz founded a glass-blowing business in Esslingen. The company initially concentrated mainly on the manufacture of glass apparatus for medical technology and on mercury relays for industrial applications. These relays were the starting point for further development towards industrial relays. His son Peter Pilz was already involved in the company. Thanks to his pioneering spirit, Peter Pilz was instrumental in the company’s transformation from glass apparatus manufacturing to electronics. In 1987, Pilz developed the “Pilz E-STOP relay PNOZ”, which was a pioneering product for both the company and the industry sector, and which is now renowned the world over. PNOZ is now more than a mere product name. Ever since its development, PNOZ has been a benchmark for safety-related relays in mechanical and plant engineering. Pilz was the first to supply such a product range on the world market and became European market leader within just a few years. 1987 saw the establishment of the fourth subsidiary Pilz UK, which has since served the British market. Many international branches were founded in the 1990s. Pilz recognised early on that the world market is crucial to a successful future. In 1992 Pilz moved into its production and administration building at the current headquarters in Ostfildern. The adoption of cutting-edge production technologies coincided with the move. With its know-how in the areas of programmable logic controllers and safety technology, Pilz accomplished a further innovation in 1994: the first programmable safety and control system PSS 3000. The new millennium heralded in an innovative decade for Pilz. A large number of new products appeared on the market, most notably the revolutionary SafetyEYE, the first safe camera system for 3D zone monitoring, and the automation system PSS 4000, a system for complete automation technology. The Peter Pilz Development Centre was built at the Ostfildern site. This increased the production area at Pilz by 50 percent. Software development started at Cork, in Ireland. The present decade has placed the focus on digitalisation. For example, Pilz showcased its first “own” Smart Factory at Hannover Messe. Internationalisation has continued, too: new subsidiaries have been established, including in India and Taiwan. The first production facility also opened in China, at the Jintan location. The new Peter Pilz Production and Logistics Centre was inaugurated at the headquarters. 2017 saw a generational change: Mrs Pilz is handing over the executive management to her children Susanne Kunschert and Thomas Pilz. Our pursuit of safety forms the basis of our daily thoughts and actions. 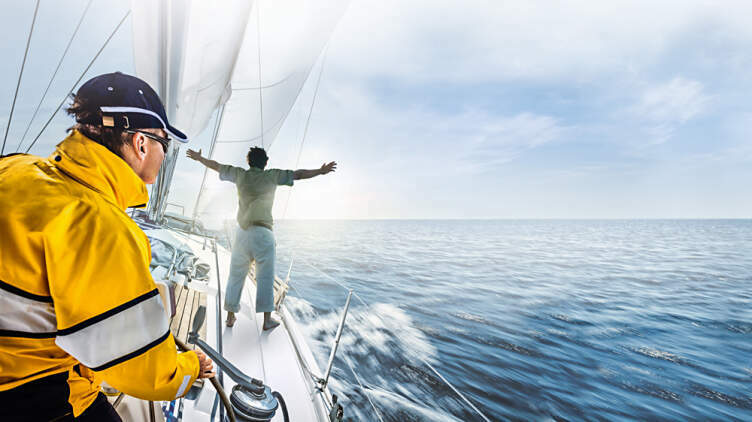 Our vision, “The Spirit of Safety”, has made us one of the leading automation technology suppliers. We use our automation solutions to create safety - for man, machine and the environment. The origin of today's programmable safety and control systems goes right back to 1969, when Pilz developed the EUROPILZ SYSTEM. The system comprises a complete range of plug-in Eurocards, used to build industrial control systems. In the face of widespread resistance and doubts, in the 1990s Pilz developed the first programmable safety and control system PSS 3000. It replaced wearing contacts with electronic control circuits. 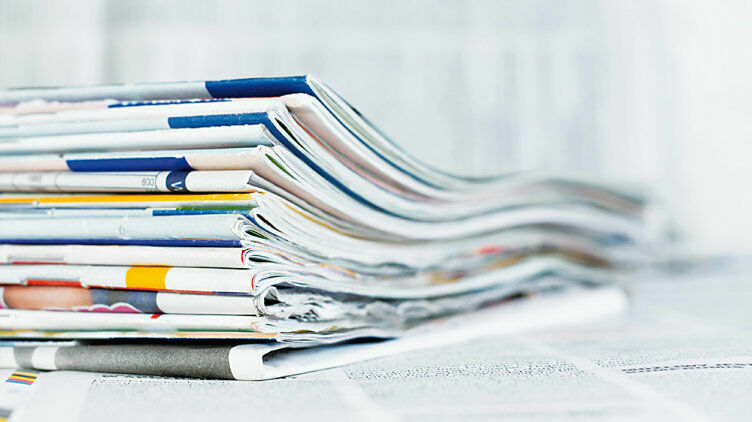 The result was absolutely reliable processes and reduced downtimes. Pilz developed the world’s first safe, open safety fieldbus with the SafetyBUS p. Up until that point, all established fieldbuses had not been suitable for the transmission of safety-related data. Pilz thus responded to the market demand for all components to be fully integrated. Pilz developed the first safe camera system for 3D zone monitoring: the SafetyEYE. For the very first time the safe camera system, which enables seamless, three-dimensional monitoring and control of hazardous areas, offered our customers scope to realise applications entirely without guards. The web-based HMI software PASvisu makes automation projects easy to configure and visualise optimally. PASvisu for the first time provides a convenient overview of machinery and systems – whether locally or via remote access. Member of the university council of the University of Ulm. Bridges and sluices are typical of Holland’s infrastructure and handle a large amount of freight traffic. To enable traffic to be guided through quickly, safely and without delay, bridges and sluice systems must be automated to an optimum level. When it came to the upgrade of their sluices and bridges to the latest control technology, the province of Zuid-Holland opted for the automation system PSS 4000. This automation system can be used across a range of industries in applications of any size; it provides a high level of safety and cost effectiveness within the sluice complex.